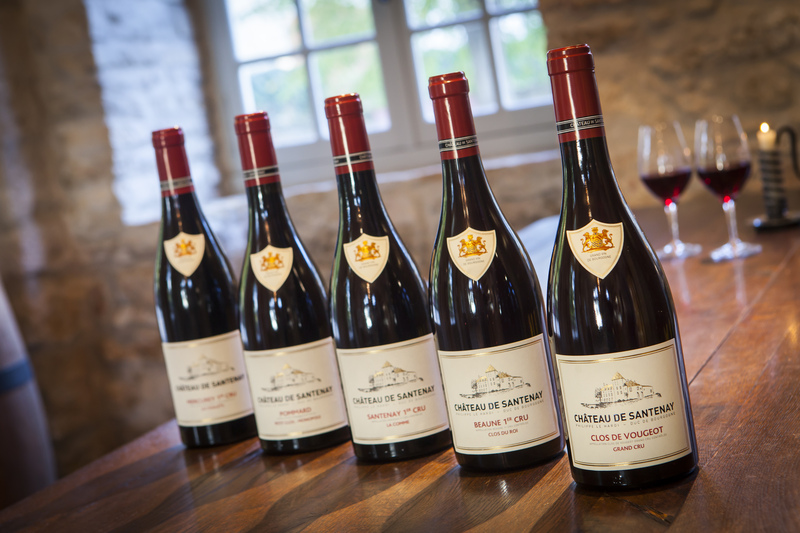 Last month the Clementine Communications team were joined by Thierry Budin of CA Grands Crus and David Gleave of Liberty Wines to present a tasting of the award-winning collection of wines from Château de Santenay, Burgundy. We were hosted by Philip Howard, Rebecca Mascarenhas and the rest of the brilliant team at Elystan Street, who prepared a sumptuous three course lunch for guests to follow the tasting. Specialising in honest, ingredient-led, and gimmick free cooking, Michelin starred chef Philip Howard prepared a spectacular feast; each plate was delicately paired with a Château de Santenay wine to form a harmony of flavour irrefutable to those in attendance. Among the wines showcased were the Mercurey 1er Cru ‘Les Puillets’ 2015 (IWC 2017 Trophy & Gold medal Winner), Aloxe-Corton `Les Brunettes et Planchots` 2015 (DWWA 2017 Trophy winner) and the coveted Clos de Vougeot Grand Cru 2014 (IWC 2016 Trophy & Gold medal winner). With such a significant collection of awards and acclaim, it is clear that quality and attention to detail remains at the heart of the Château de Santenay philosophy. Alike in their understanding, passion, craft and generosity, it is unsurprising that Château de Santenay and Elystan Street formed a harmonious union, coming together to create a truly unique afternoon dining in Chelsea, full of vitality and flavour. From Burgundy to Bordeaux, the team look forward to reuniting with Thierry Budin for an intimate dinner hosted at La Dame de Pic, where Michelin starred chef Anne-Sophie Pic will have her hand at the reigns and tailor a menu to compliment the exquisite range of Bordeaux wines.